Forget agriculture as you know it. While the word can conjure myriad, often disturbing images, the agritech revolution is working to take the guesswork out of farming. 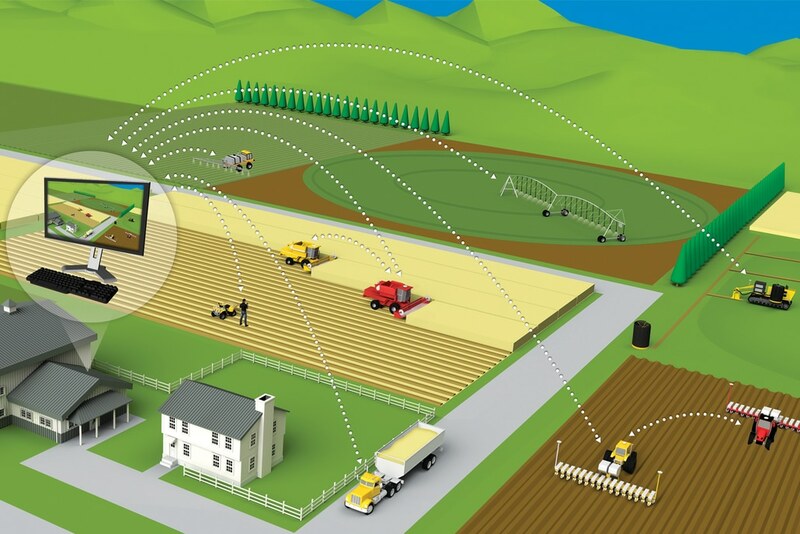 The advancement of Precision Agriculture technology—such as robotics, data analytics, and Internet of Things (IoT) for farms have spawned a new incarnation of the sector, resulting in greater yields with less inputs. Venture capitalists have noted this shift and invested $1.1 Bn in agritech in the first half of 2017 alone. Of all this funding, $500 million—nearly half—was poured into novel farm technology and management systems. The potential of Precision Agriculture has not gone unnoticed by the public sector as well. Aibono, a Bengaluru-based agritech startup that is igniting the “4th Revolution in Farming,” first takes a soil sample from the client farm, then analyzes it to create a comprehensive plan for farmers to grow the most commercially viable crops on their land. They recently raised an undisclosed amount of seed funding from four institutional investors in 2016. Another agritech startup that falls under this category is Delhi’s Weather Risk Management Services, which uses its own data weather stations to predict climate patterns and calculate loss adjustment, risk assessment, and crop insurance data for farm management. They raised $1.5 Mn in Series A funding in 2016. Companies in the Field Operations realm can be distinguished by their focus on enabling farm equipment with cutting-edge technology. Examples include FlyBird Innovations India, which manufactures affordable smart irrigation controllers with the goal of reducing water wastage. The Bengaluru-based agritech startup had raised $900K in seed funding as of June 2016. Stellapps Technologies, another agritech startup operating out of Bengaluru, uses IoT technology to install remote sensors and optimize the milk cold chain through their SmartMoo platform. They raised an undisclosed amount in Series A funding in July 2017. Of the Precision Agriculture companies surveyed by the startup data platform Traxcn last year, 350 were in the United States. The next closest competitors—India, Canada, and Israel—are far behind, with approximately 50 companies each. The most notable Series A deals globally, including Astro Digital, a company that uses satellite imaging for farm data that raised $21 Mn and aWhere, a weather data company that attracted $17 million in funding, were all conducted outside of India. While Precision Agriculture investments in India have generally lagged in comparison to the U.S., they are now gaining momentum on the back of macro tailwinds such as higher technology and smartphone penetration and government impetus. For example, in November 2017, Bill and Melinda Gates Foundation teamed up with the government of Andhra Pradesh to hold the “Progressive Farmer, Smart Farming” pitch competition, which included Data Mining for Agriculture as a key focus area. For impact investors, precision agriculture lies at the intersection of several core values: it is tech-enabled (therefore highly scalable) and its potential to reach lives in India’s largest sector, employing more than 50% of its workforce, is unparalleled. So why hasn’t Precision Ag investment taken off yet? From the Unitus Ventures (formerly Unitus Seed Fund)’s perspective, there a few barriers to scaling Precision Agriculture investment in India. One, sophisticated technology like satellites and robots can be prohibitively expensive, making it less attractive for VC investors. Early-stage funds would be interested in models that employ cheaper technology, such as sensors and drones, or software solutions for farm management. Another key consideration is the important role of the Indian government in agriculture. For example, state governments provide subsidies for new farm equipment that could be leveraged towards Precision Agriculture purchases. Investment in agritech is a long-term commitment to changing the current agricultural system in India. As any farmer knows, some trees take years to bear fruit.